The ToughBuilt Technician 10-Pocket Pouch (Large) transforms how professionals carry their tools. The patented ClipTech Hub allows this pouch to clip on and off any belt. Works great alone, or combined with any ClipTech tool belt. This pouch has 3 unique, adjustable central pockets with bottoms that can be secured closed for pliers or opened for longer tools to hang though. It also includes 6 tailor-fit screwdriver loops, notebook pocket, tape measure clip and pencil pocket. 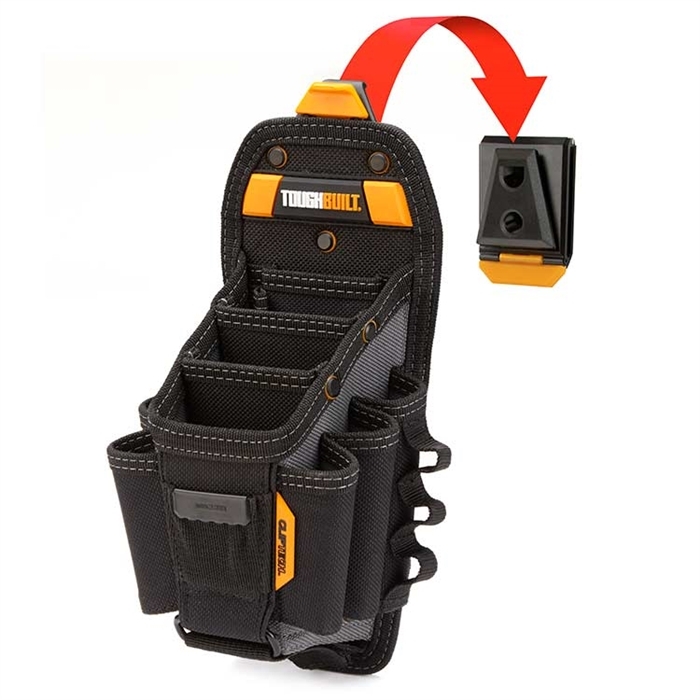 With rugged construction and heavy-duty rivet reinforcement this reliable pouch withstands the most rigorous working conditions. Only complaint and not really a big deal is I wish it had a kick stand. I got the three pack of extra clips also put one on my pants belt every day. running in for a service call I take this pouch. have different ones for different job types.